The Carter Law Firm, LLC proudly serves Fultondale and the surrounding Alabama communities of Gardendale, Glendale, Oak Forest, Black Creek, Fulton Springs, Springdale, Ketona, Walker Chapel, Grayson's Addition, Lewisburg, Humoro, Tarrant, Bartonville, Tarrant Heights, Plain View, Oak Park, Frances Heights, Jefferson Hills, Birmingham, Irondale, Mountain Brook, Homewood, Fairfield, Trussville, Vestavia Hills, Pleasant Grove, Hoover, Leeds, Hueytown, Bessemer, Helena, and Pelham. 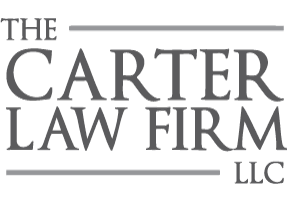 The Carter Law Firm, LLC provides personalized legal services in a variety of personal injury cases, including auto accidents, trucking/commercial vehicle accidents wrongful death, premises liability, product liability, and medical malpractice. We are also highly experienced in the areas of business law, landlord/tenant law, criminal defense, insurance law and consumer protection law. The information contained in this website is provided for informational purposes only, and should not be construed as legal advice on any subject matter. No recipients of content from this site, clients or otherwise, should act or refrain from acting on the basis of any content included in the site without seeking the appropriate legal or other professional advice on the particular facts and circumstances at issue from an attorney licensed in the recipient's state. The content of this website contains general information and may not reflect current legal developments, verdicts or settlements. The Carter Law Firm expressly disclaims all liability in respect to actions taken or not taken based on any or all the contents of this website.